#2 The Model 15 DOES not sound like the Moog model 15 App. The App filter sounds different, more towards an oberheim resonance sound also more brighter/harder. Different sounding. Still The Model 15 App is a great application for Model 15 owners. (I use it to prototype patches, save them. #3 Cost, you always hear this about the 10K price for the Model 15 Reissue. There are obvious units out there for less but it does not sound the same. (.com has one for a good price if you want to get started for about 3000USD) but its not the same sound nor does it come with the expensive Fixed Filter Bank that uses Inductor coils nor the CP3 type mixer sound. The closest sounding model is from what I hear the Moslab model but its much more expensive and priced in euro, long wait times and you have shipping expenses and you do not get the Inductor based FFB. 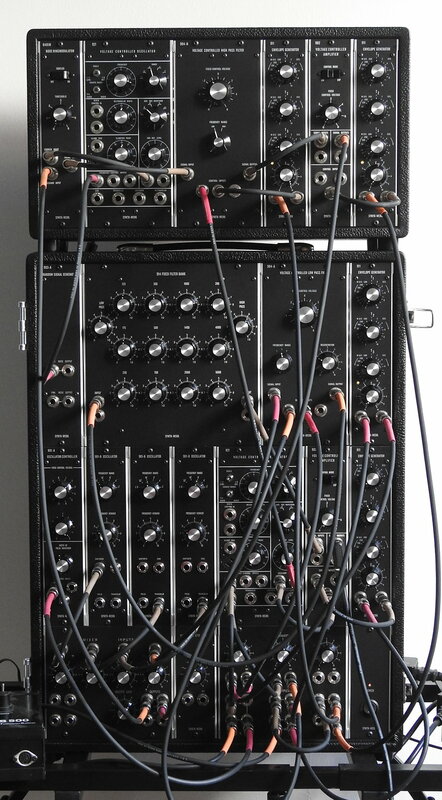 so for a few thousand more you get the real deal from Moog build with discrete components. Anyhow the sound, It sounds different than any of my other synths, including other Moog products,Oberheim etc.. The Model 15 has a smoother mellower sound, very warm and mellow. The oscillators just sound so big and with girth yet not harsh. I am not sure if its because of the CP3 mixer? or whats going on but it definitely has a unique sound. I plan and hooking it up to a scope and trying to understand this. It just looks amazing It is the centerpiece of the studio and everyone who sees it is drawn to it, I am not sure what the deal is but it really gets the folks excited and interested to work with it and helps getting the creativity juices flowing and the session going smooth. It is real hard to fight the urges regarding ordering a second Model 15 Man its like you have one you want another one, hopefully the urges pass or maybe I end up with one in each studio and I dont have to miss having the 15 around. To me the Model 15 along with the Minimoog D just feel like timeless instruments you would pass down, just like a Steinway & Sons concert grand piano. There is definitely magic in that Model 15. If you are on the fence regarding buying one, I would say go for it and not regret it later on, life is to short and in the end this is something you will keep with you for decades. I agree with you all your comments! I am also a happy owner of a 15 and a new minimoog and as you say the 15 is very special beast!. As an old owner of one moslab system I can say that there are a good option to not spend so much money, but they are not really the same!. Also the legend that says that a 15 is a patchable minimoog is not thru!. The sound is different and the 15 can do a lot of stuff if you start to work with it. The only thing I miss is the option to get a bender for the vibrato in the Moog 15 keyboard like the minimoog. I am just looking to see the best option (midi keyboard, synth.com keyboard.....). I am not aware if is still possible to get a new 15 but I am considering seriously to buy a second one soon if possible. This is already a historical piece with his own sound and a I am very happy that I was able to buy mine last year!. Glad to see that there are people who are able to compare the 15 with some other contenders out there. Would love to do that some time. I'm still on my Honeymoon phase, so take what I say with a grain of salt, but I was surprised as to how different, smooth, but still raw and alive the sound was. I'm super curious why this is as well, but out of all of my analog synths (some of which were more expensive than the 15), its my favorite sounding, very unique. Also I use it aggressively everyday and have had no fears what-so-ever about breaking it, the build quality is clearly a 10. So far its made it into several netfilx and network tv projects, so if you hear earth shattering synth drones in this year take comfort knowing you're speakers are being destroyed by Model 15. Anyone been able to compare it to the Synthesizer IIIC's 901's? Here's my Moslab with a Synth-Werk 914 (inductor based). Waiting on the Bode Frequency Shifter and a couple more VCAs. Kudos on the TV gigs, I think that's what we all aspire to. Just got a New Model 15 and happy to be apart of the Moog family and heritage . The Model 15 is definitely from the other side sometime I just stare at it and contemplate it . It forces you to learn and it rewards you in return . People would think I'm crazy for spending so much on it but it makes me happy like a good friend . 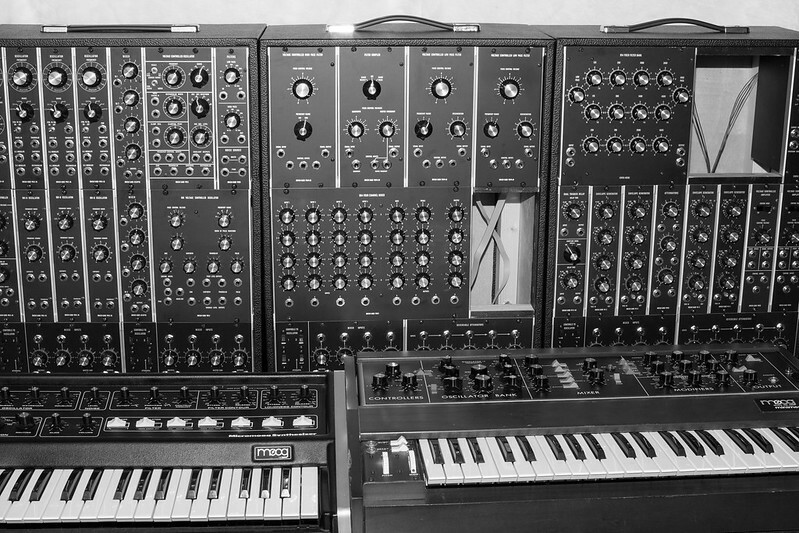 The german Synth-Werk Model 15 and Model 10 are sounding superb original. Also the look is right (of cause without the Moog logo). I got a Model 10 (slightly altered Module arrangement) with the big 914 Fixed Filterbank. Of cause it is using inductors for all bands. And it is not that high priced as the reissued versions by Moog. And better calibrated (all reissued Model 15 I came across here at collectors and music fairs were not well calibrated). Synthesizers.com is a wonderful way to get into full size modular. But their sound is different. Not that special as the Moog sound. Their Oscillators are tracking better then the Moog ones, but their sound is not as bold. The same is true for the transistor filter by Synthesizers.com. I use plenty of their modules, but I add more and more modules by other manufactures. But the Synth-Werk Model 10 is not mixed with others (I added 2 921 oscillators on an little extra single row case). Anyone been able to compare it to the Synthesizer IIIC's 901's? 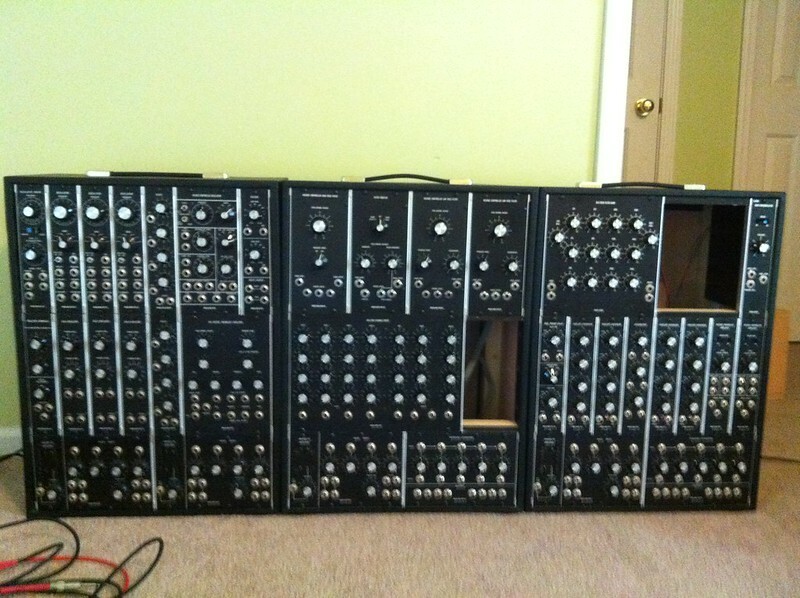 I own an R.A.Moog system - with modules from the late 60's & early 70's. It has 901's and I also recently got a system 15 reissue. I can confirm that those 921 oscillators don't sound anything like the 901's.